This website is created and managed by Pink Minds Media bvba, Moleneinde 10, B-2381 Weelde, Belgium, VAT number BE 0892 854 217. Not to use the content of this website in any illicit way or in any way that could directly or indirectly harm Pink Minds Media, its subsidiaries, service providers, distributors, clients, media or any third parties. Not to use the website in any way that violates the rights of individual persons, companies, associations, including, but not limited to, privacy and intellectual property rights. To use the website with respect for all applicable codes and notifications, the full text of which can be consulted on the appropriate websites. Not to use the website in any way that might disrupt, interrupt, deform or affect the working of the website in any way. To under no circumstance abuse the website and the platforms offered by Pink Minds Media. Not to use the website to transmit or post computer viruses, illegal or illicit content, inappropriate content (including but not limited to obscene, violent or harmful content). Not to use the website to post or transmit materials for promotional or advertising purposes without prior authorization by Pink Minds Media, unless such content has been applied for by the recipient. To safeguard and hold harmless the honour and good name of Pink Minds Media and her brands at all times. To notify Pink Minds Media immediately about any attack, even potentially, on the security of the website or the rights of third parties. You agree to hold harmless Pink Minds Media or any third party against all claims related to your violation of intellectual property rights or any other rights of Pink Minds Media or any third parties. Pink Minds Media may work with external partners when offering certain information or services on this website. Pink Minds Media cannot under any circumstances be held liable for any violation of any legal obligation, intellectual property rights or other rights of third parties by its partners and declines all responsibility for the information and services provided by its partners. Pink Minds Media will not be responsible for any incomplete or inexact information provided by any third parties. All texts, drawings, photos, films, images, data, databases, software, commercial names, trademarks, logos and other elements of this website are protected by intellectual property rights and are the property of Pink Minds Media or third parties. This website also forms a database protected by copyrights and database protection laws. The content of this website cannot, in part or in whole, be changed, made public, distributed, sent, sold or otherwise used without the prior written authorisation of Pink Minds Media. Citations of articles are allowed for non-commercial purposes only and if properly quoted and linked to the source (with hyperlink), for so far that citations are not made systematically. The logo and the name of Pink Minds Media it’s brands are protected trademarks and/or trade names. No use of these names and logos or similar names and logos can be made without prior written agreements by Pink Minds Media. We are the exclusive rightful claimant or assignee of the entire intellectual property rights associated with our website and the service offered. Unless expressly agreed otherwise in writing, users transfer all intellectual property rights that they may assert on texts, photographs, drawings, graphics, images, sound and data that are placed on our website, irrevocably to us. You agree to in no way whatsoever or in any form whatsoever to copy, process, exploit, resell or otherwise use the whole of elements that make up our website, or any part of it. These elements include the brand, texts, software, databases, forms, trade names, product names, logos, graphic elements and illustrations, graphs, music, color combinations, slogans, layouts and bookings and any other qualifying element of the website and our service. Pink Minds Media does not collect personal data, unless you choose to share them. By creating an account, placing an order, filling out a order form, ... or by sending an email, you authorize Pink Minds Media to collect and save your personal data (name, first name, email, phone number, birthdate, address, IP, ...) for automatic profiling, client management, market analysis and direct mailing by post. Your personal data can be transferred to Pink Minds Medias’ partners for these purposes. You have the right to access and correct your personal data. The legal basis for this is the implementation of an agreement that is requested by you and, when giving an opt-in, your explicit prior permission for sending newsletters and other direct marketing. For the optimal functioning of some of our services (such as business listings, accounts, ...) you will receive emails that are inherently part of the service, as a result of which they do not contain a unsubscribe link (you can unsubscribe by completely deleting the account and stopping the service as such). The legal basis for this is the implementation of an agreement that is requested by you and the legitimate interests of Pink Minds Media to continuously improve its website and services. The date provided can be passed on to companies contractually contracted by Pink Minds Media or employees for purposes in the context of our services. We do not sell or rent your personal data to third parties. In the event of a complete or partial reorganization or transfer of activities of Pink Minds Media, where it reorganises, transfers, ceases or if Pink Minds Media goes bankrupt, this may mean that your data will be transferred to new entities or third parties through which the business activities of Pink Minds Media will be fully or partially continued. Pink Minds Media will reasonably attempt to inform you in advance of the fact that Pink Minds Media will disclose your data to the said third party, but you also acknowledge that this is not technically or commercially feasible under all circumstances. The only exception to this is when we pass on your details to an event location or event company when you send a quotation request to them via our website. In this case, you give the company or the companies to which you submit your request permission to process your data in the context of answering to that question. Pink Minds Media may collect anonymous or aggregated data of a non-personal nature, such as browser type or IP address, your operating system, the pages you visit on our website, ... or the domain name of the website through which you have visited or left the website. We use this information to improve our website and include it in anonymous statistics. The legitimate interests of Pink Minds Media to continuously improve its website and services are the legal basis for this processing. These data may also be used to show you offers or promotions for products or services that may interest you, with as legal basis the legitimate interests of Pink Minds Media to continuously improve its website and services. During your visits to the website cookies may be placed automatically on the hard disk of your computer. The data collected through these cookies helps us to improve our website and adapt it to your wishes and preferences and may be used to show you offers and promotions of products and services that may interest you. Most Internet browsers allow you to remove cookies from your hard disk, to reject cookies or to receive a warning before a cookie is installed. Consult the instructions or help function of your internet browser or this website for more details. If you accept cookies during your visit to this website, these cookies may be used again during following visits. With this cookies we ensure that you can log in securely to our site and that the basic functionalities of our website can work. With this cookie we improve the functionality of our website by collecting analytics and personalizing our content for an even better user experience. This cookie also helps us to log you in securely and also ensures that, if you wish, we can automatically log you in again when you return to our website (tick 'remember me' when logging in). We use Intercom to give you an optimal user experience. Are you running into something? Then you can use this tool to quickly and easily ask questions via chat. Do you order something via our website? Then we process your payment through our secure security partner Stripe. Through Google analytics we collect anonymous visitor statistics, with which we use to continuously improve our website. We use Google DFP to display banners on our website. We use Google Adsense for relevant text ads. Banners, and other ads, provide the much needed income with which we can create the great content that we provide you free of charge. Many of our users follow our media via Facebook. For an optimal user experience between the two platforms, we also place a Facebook cookie. This way we can prevent you from seeing certain messages when you saw them already on our website or just the other way around so that we can show you relevant advertisements. We also use the cookie to measure conversions of campaigns we run on Facebook. Many of our users follow our media via LinkedIn. For an optimal user experience between the two platforms, we also place a LinkedIn cookie. This way we can prevent you from seeing certain messages when you saw them already on our website or just the other way around so that we can show you relevant advertisements. We also use the cookie to measure conversions of campaigns we run on LinkedIn. In our articles we regularly link to interesting books. To ensure that these links go to the correct local Amazon webshop worldwide, we need this cookie. By posting a reaction, reviews, ... your IP address is identified and collected for the purpose of maximizing the authenticity and integrity of messages by avoiding postings under false names. In the event of complaints of presumed illicit or illegal conduct, we may be forced to hand over your IP address to the appropriate government bodies. Your personal data will be stored and processed by us for a period that is necessary in function of the purposes of the processing and in function of the contractual relationship between you and Pink Minds Media. Because you, as a user, have lifelong access to our services, downloads, ... there is no fixed expiry date for personal data for accounts. You have the right to receive free access to your personal data at any time, as well as the use we make of your personal data. You are free to communicate your personal data, or not, to Pink Minds Media. In addition, you always have the right to request us to correct, supplement or delete your personal data. You can easily do this yourself by logging in on our website. You acknowledge that in case of refusal of communication or request for the removal of personal data, certain services and products are not available. You may also request to limit the processing of your personal data. You also have a right of object to the processing of your personal data for serious and legitimate reasons. In addition, you always have the right to oppose the use of personal data for direct marketing purposes; in such a case you do not have to give reasons. You have the right to obtain your personal data that we process and/or transfer it to other responsible parties. To the extent that the processing is based on your prior consent, you have the right to withdraw that permission. You can exercise your rights by contacting us for this purpose, either by e-mail to privacy@pinkminds.tv or by mail to Pink Minds Media - Moleneinde 10 - B-2381 Weelde (Belgium), provided you enclose a copy of your identity card. In rare cases, Pink Minds Media may have to disclose your personal information pursuant to a court order or to comply with other mandatory laws or regulations. Pink Minds Media will make reasonable efforts to inform you in advance, unless this is subject to legal restrictions. We have developed security measures that are technically and organizationally adapted to avoid the destruction, loss, falsification, modification, unauthorized access or notification by mistake to third parties of personal data collected as well as any other unauthorized processing of personal data. this information. In no event can Pink Minds Media be held liable for any direct or indirect damage resulting from incorrect or unlawful use by a third party of the personal data. You must comply with the safety regulations at all times, for example by preventing any unauthorized access to your login and code. You are therefore solely responsible for the use that is made from the website of your computer, IP address and your identification data, as well as for the confidentiality thereof. For this processing of personal data, a declaration was made to the Commission for the Protection of Privacy. This Website may contain hyperlinks to websites or web pages of third parties or redirect to such Websites or pages in other ways. Pink Minds Media does not control the content or any other feature of these websites or web pages and is under no circumstances liable or responsible for the content or the features of these websites. The use of links by Pink Minds Media does not imply approval of the content of these websites or webpages. We pay the utmost attention and care to the presence of the links to other websites and third parties and to the proper functioning thereof. However, we cannot guarantee that these links always work. In case of normally acceptable disruption of the operation of these links, we do everything possible to remedy this within as short a time as possible. This can in no case give rise to the owing of any compensation or penalty. eventplanner.net, is a webplatform that shares information on organising events. Any advice offered directly or indirectly through this website of a medical, legal, financial, personal or business nature is offered without any guarantee and Pink Minds Media cannot be held liable for the content of such a advice. Please consult a licensed professional for the advice and information that best fits your personal situation. The content of our articles, TV broadcasts and other content is purely informative and only intended to provide the user with general background information about entrepreneurship in the event industry. The information can not replace professional advice from an accountant, accountant, lawyer or other professional. You acknowledge that the information that is made available to you is not complete, exhaustive and that our articles do not constitute concrete, customized advice on your questions. We advise you to consult one of our professional partners for legal, tax accounting or other advice. We guarantee no result based on decisions taken after reading our articles, nor do we guarantee the consequences. You therefore acknowledge that neither we nor the persons or companies that answer your question or publish an article can be held liable for the information contained in the articles or answers and you accept that the use of this information is at your own risk and liability. Under no circumstances can Pink Minds Media be held liable for immaterial or indirect damage, consequential damage or financial loss. If the liability of Pink Minds Media is nevertheless taken into account, the total sum to which the Pink Minds Media is kept to a maximum will be limited to € 100 per claim, insofar as permitted by the applicable law. The above limitations or exclusions of liability apply insofar as this is possible under the applicable law and apply regardless of the liability regime including, but not limited to, the contractual liability, liability in tort, faultless liability and liability for hidden defects, and except in case of fraud or a deliberate error by Pink Minds Media. The information, software, products and services ('Information') offered on or through this Website may not always be accurate. Pink Minds Media does not assume responsibility for the aptitude, reliability, timing or accuracy of this information. The information is offered and published without any form of guarantee. Pink Minds Media is not responsible for possible viruses and has taken all normal precautions to prevent such viruses. Pink Minds Media declines all responsibility for damage caused by such viruses. Pink Minds Media reserves the right to correct or change the information at any moment. The booking module which is offered by Pink Minds Media on eventplanner.net is an online platform where advertisers (= event venues and event suppliers) can manage their agenda and pricing structure and visualise this for the visitors. By using the platform, visitors can place a booking with the advertiser based on the availability which the advertiser indicated in his online agenda. Pink Minds Media only provides the platform to the advertiser and visitor/booker. Agreements are thus entered into by the advertiser and visitor/booker. Pink Minds Media is under no circumstance a party in the agreement between the advertiser and visitor/booker and is therefore not accountable for the contact nor for the contract between the two parties. A booking made by a visitor/booker will be final from the moment that the advertiser has confirmed the booking. The agreement which will subsequently be entered into by the advertiser and visitor/booker is to be agreed upon and managed by these parties themselves. The advertiser himself is responsible for his pricing structure, agenda and their contents. Pink Minds Media offers no guarantee, neither explicitly nor implicitly, and cannot be held accountable for the security of the contents of the agenda, nor for theft, loss or damages of/to the contents of the agenda and the pricing structure. The advertiser himself should at all times provide the necessary back-ups. Moreover, the advertiser himself should at all times keep the agenda up to date. Pink Minds Media is under no circumstance responsible nor accountable for double bookings, booking errors, or errors in the agenda and/or the pricing structure of the advertiser. Therefore any complaint regarding the above should be addressed directly to the advertiser. By placing this information online, it becomes possible for every user of the website to see which licenses the advertiser possesses, as well as whether the license has been uploaded and when this has happened. Pink Minds Media also enables you to view and download the documents placed online. This option is only available for .PRO members. The advertisers themselves are responsible for the accuracy, correctness, safety and updating the information and content supplied by them. Pink Minds Media only offers the platform on which the documents can be published and viewed. Pink Minds offers no guarantee, either explicit or implicit, and is not liable for the information and/or content provided by the advertisers. Furthermore, Pink Minds Media is not liable for theft, loss or damage of/to the uploaded files. The advertisers are to provide their own back-ups at all times. Any complaints regarding the above mentioned should be directed to the advertiser. In order to access certain parts of the website, including but not limited to the booking module, company pages, ... the user needs to subscribe by creating an account. The registration form is to be filled in completely and truthfully. It is not allowed to use someone else's identity, proxies, pseudonyms and temporary email addresses when filling in the form. any other reason based on which Pink Minds Media can reasonably decide to refuse your Registration. After creating your account you will receive a password. You will need this password in order to gain access to certain parts of this website. Access to these parts without password is strictly forbidden. If you have received a password, you should keep it confidential at all times. If by accident your password is passed to other persons or if you have received a password from another person, you should notify event under media immediately. You are responsible for all use of our services through your password login. Pink Minds Media may change your password for security reasons and may hold you liable for all damages caused by illicit, illegal or inappropriate use of your password. User is responsible for the correctness of texts and images, titles, logos and illustrations, the mentioning of the identity of the photographer (if applicable), etc. User is responsible for all posterior changes to its content. User shall hold harmless Pink Minds Media for all claims by third parties related to content published by Pink Minds Media, including claims for infringements of intellectual property rights and/or domain names. The user is sole responsible for his content and shall make sure that this content is not illicit, illegal or inappropriate. User is sole responsible for the content of webpages to which its content directs and for all materials related to its content. Users’ responsibility includes for instance, but not limited to, product liability, copyright, respect for all regulations concerning distance sales, competitions, sales and discounts, comparative advertising and all legal consequences of publishing the content. User guarantees that all materials delivered to Pink Minds Media are free of defects or viruses and shall be liable for all direct or indirect damages incurred by Pink Minds Media or any third party following such defects or viruses. By uploading materials the user automatically entitles Pink Minds Media to use these materials these materials for its own purposes, to reproduce it on all carriers, to edit it, reuse it and convey it to the public, for the entire duration of the copyright protection, on all known carriers and globally. By entering into an agreement (this also applies to free services such as a company page) with Pink Minds Media, the user also automatically grants Pink Minds Media the right - as far as needed - to use the trade and brand names of the user as a reference, in her own communication or as a keyword in online advertising services. The user guarantees to possess all required rights, most notably the copyrights and portrait rights, and to transfer such rights of use to Pink Minds, and that it will fully indemnify Pink Minds for any claims by third parties related to the use of the materials by Pink Minds Media. The user is solely responsible for acquiring adequate licenses on intellectual property rights, personality rights and other third party claims with regard to creations, developments and other elements. You are and always remain responsible for the messages that you post or have placed on our website or for the information that you share with our partners via the contact forms. Aggressive, unlawful, threatening, abusive, defamatory, vulgar, obscene, racist, misleading, uncivilized or otherwise inappropriate or irrelevant content is not permitted. You are not permitted to make personal information (such as telephone numbers, email addresses and private addresses) of yourself or others public via our website. If you would nevertheless post this information, we can not be held responsible for the spam that you might receive. It is not allowed to post a message that refers or links to websites that exceed the legal boundaries and/or the limits of decency. You will respect other users by not using abusive or curse words and needlessly hurtful text(s) and by not posting in any way incorrect, incomplete or misleading information about certain users or third parties. In other words, you will not deliberately or deliberately place other users or third parties in a bad light. You declare that reviews you post are based on your own experience as a customer of the company concerned, that this is your sincere opinion, that you do not have a personal link with the company and that you write the review voluntarily and do not receive any compensation for this. You understand that Pink Minds Media has a zero tolerance policy in terms of 'fake reviews' and that an account is created to post reviews. It is not allowed to place advertisements on our website or to promote any kind of commercial or non-commercial companies or to use hyperlinks to websites without our prior consent. This also applies to the contact forms of event companies and venues on our website. These can only be used for requesting quotations. You understand that when using the forms an account is created in order to carry out the action. It is not allowed to place photos (or other images) of others and/or companies on our website without their prior permission. You may only post text or images of which you have the copyright or for which you have the permission to make these contributions publicly available and to reproduce them electronically. More generally: no content that may cause direct or indirect damage to Pink Minds Media, the companies affiliated with Pink Minds Media, other service providers, distributors, customers of Pink Minds Media or any third party or visitor, unlawfully, unlawfully or in any way whatsoever from the website. The website and all services delivered through it by Pink Minds Media are delivered 'as is' and 'as available'. We pay the utmost attention and care to the content of our website. However, this content is subject to change, can be removed at any time and is offered to you without explicit or implicit guarantees regarding its correctness. We are not liable for any damages resulting from the use of the content on our website, whether it is correct or incorrect, nor for damage caused by using or distributing this content. Pink Minds Media denies any liability for content, software, links or applications that are placed or passed on by users on the website. Pink Minds Media is furthermore not liable for any direct or indirect, material or immaterial damage as a result of the removal or not being able to store content that is placed or passed on by users - including yourself. Pink Minds Media is doing its utmost to make its websites and tools available to its visitors and customers 24 hours a day, 7 days a week. Given the technical characteristics of smartphones, computers, websites and the internet and the need for periodic maintenance, updates and upgrades, Pink Minds Media can not guarantee uninterrupted access to the website. Pink Minds Media will endeavor to remedy the reasonable cases of cancellation or suspension of access as quickly as possible. Interruptions or disruptions are specific to the services via the internet and can not therefore be regarded as shortcomings by Pink Minds Media and will not lead to any compensation by Pink Minds Media. A cancellation and/or suspension, as well as the failure to process bookings and/or the loss of data, can be caused by technical problems such as, but not limited to, a server crash or an error, bug, virus or hacking, which can cause problems on the website. Such problems are specific to providing this type of service and can in no way be equated with the failure of Pink Minds Media. They will in no way be able to result in a fine or compensation for Pink Minds Media. Pink Minds Media will also not be liable for any direct or indirect damage to third parties, regardless of the reason. We do not guarantee that published messages, questions and articles do not infringe the rights of third parties, nor that the messages and answers are correct, complete and up-to-date. We decline all liability for the content of published messages, questions and articles that come from our partners, and that would not prove to be correct or that would appear to conflict with the rights of third parties, with applicable laws or with the public order and good morals. If you determine the presence of such content, you must inform us of this without delay, so that we can take the appropriate measures. Pink Minds Media reserves the right, in its own estimation, to deny visitors access to, or the use of, its website and / or services. Another reason on the basis of which Pink Minds Media can reasonably be of the opinion that access must be refused. Pink Minds Media's general terms of sale are applicable (also for free products such as the free company pages, ebooks, downloads, ...). We appreciate the trust you have put in Pink Minds Media and take your rights seriously. These terms of sale apply to our website. By using this website, you agree to these general terms of sale, which will be binding and applicable to you. To place an order you should be 18 years or older. If you are younger we ask you to get the order placed by your parents. Beside these general terms of sale, also our other terms on this page are applicable. All products on offer through our website, are depicted as accurate as possible and in good faith. If we make use of graphics, they are a true reflection of the offered goods and / or services. To error is human and if we are clearly mistaken, we are not obliged to deliver to you. Offers and prices are valid for the time they are mentioned on our website or for the period mentioned in our flyers, folders, ... All prices in our webshop (eventplanner.net/shop/) are VAT included, the prices for advertisers are always VAT excluded. Pink Minds Media cannot be held liable for (printing) errors in its offers. Material goods are shipped at the client's costs to the address provided by the client in the order form. Digital goods like ebooks, ... are delivered through a download link in an e-mail. No physical delivery will follow. Pink Minds Media performs its best efforts to ensure a fast delivery. Delivery times, however, are not binding and Pink Minds Media cannot be held liable in case of delay in delivery. If delivery becomes impossible, the agreement shall be terminated automatically. In the event of partial delivery, each part shall be considered as a separate sale. We ship worldwide. Keep in mind that local authorities may charge additional fees and taxes. Digital files such as eBooks (.pdf, .ePub, ...), ... are protected by copyright laws. It is therefore forbidden to copy such files in part or in whole, to adapt them or to incorporate parts of them into other works. It is forbidden to spread these files or to make them public. It is therefore forbidden to spread copies (even for free), to upload the files to internet or to rent out the files. Ale digital files downloaded through our website contain visible and invisible fingerprints that allow us to track the spreading of the files. Infringements will be persecuted immediately. The Belgian market practice and consumer protection act entitles the consumer to inform the seller within 14 days after receiving the goods of his decision to cancel the sale (info@pinkminds.tv). Goods should be returned in unopened packaging within a reasonable delay after this notification (3 working days). If you want to return the goods that you bought, you can do so within 14 days after delivery. We will refund as soon as we receive the returned goods. Costs to return goods are not reimburse and the return shipment is at your own risk. Pink Minds Media may refuse returned articles or may refuse reimbursement of damaged goods. Personalized or digital goods, such as ebooks cannot be returned. Unless agreed differently we only accept upfront payments through our website. In the exceptional case payment by invoice is allowed, the the following terms are applicable. All invoices are payable within 14 days at Pink Minds Media's registered offices. Any delay in payment within 14 days, shall give rise automatically, without prior formal notice or without prior court intervention, to interests 1% per started month and to a lump sum damage compensation of 15% of the invoiced amounts with a minimum of 125 euro by way of compensation for administrative and other costs. All costs related to debt recovery, both inside and outside court proceedings shall be reimbursed by the client. Any delay in payment of one invoice shall make all other invoices payable immediately. See at the bottom of this page. By way of Alternative Dispute Resolution measure, the Service de Médiation des Consommateurs of the SPF Economie has been appointed to receive all demands of out of court settlement of consumer disputes. The Service will intervene directly or transfer your complaint to the appropriate service. You can contact the Service de Médiation des Consommateurs via this link: www.mediationconsommateur.be/en. We thank you for your purchase of your eventplanner.PRO card via www.eventplanner.net (hereafter named 'the website'). 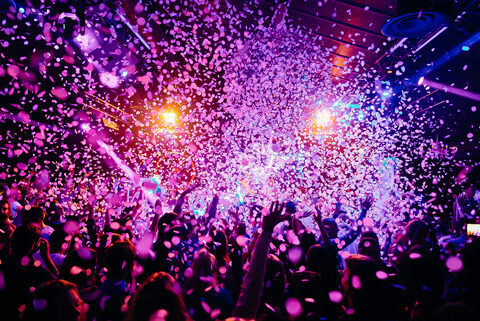 The eventplanner.PRO subscription is a service offered by Pink Minds Media in addition to the freely available parts of its websites, whereby you are provided with additional services via a closed part of the website and via a physical membership card, in exchange for the payment of the subscription fee. In exchange for paying the membership fee and for the duration of, Pink Minds Media grants you the membership of eventplanner.PRO, with the associated conditions. The nature and content of the benefits associated with your eventplanner.PRO membership may vary and be adjusted at any time by Pink Minds Media. A recent list of current benefits is available on the website at any time. Safely protect your data, your software and your IT and telecommunication installations against viruses and all other possible risks, including computer hacking. 3.3. The membership of eventplanner.PRO and your membership card are strictly personal. Username, password and membership card may not be passed on to third parties or made available to third parties. This also applies to all services and benefits offered through the .PRO membership. Your membership card remains the property of Pink Minds Media at all times. On our first request you must return it by mail to Pink Minds Media at the address described above. 4.1. To become a member of eventplanner.PRO, you must enter your personal data or company details on the registration form available on our website. The registration form must be filled in completely and truthfully. Accounts associated with any incomplete or incorrect registration can be closed unilaterally, immediately, definitively and without prior notice. 4.2. The use of someone else's identity or company name is not permitted. The use of more than one (1) user name is not permitted. You are not allowed to use proxies and temporary email addresses. Any other reason on the basis of which we can reasonably conclude that the registration can not be accepted. 4.5. From the moment your registration is complete, you will receive a confirmation email from us. As soon as your membership fee has been paid, your membership will be activated and you will receive your membership card from us by mail. 5.1. Your membership agreement is entered into for a fixed term. It starts at the date of signing and ends after expiry of the chosen period. 5.2. Your membership agreement is tacitly renewed for consecutive periods of the same term each time, and insofar as you opted for recurring payments. If you did not opt ​​for an automatic prolongation, you will receive an email with an invitation to renew your membership via our website. in case your company is declared bankrupt or liquidated, or if your company would be involved in a collective debt settlement. 6.1. Some of our partners offer services to our members at preferential rates through our website. If this is the case, we provide a contact form to the partner in question on our website. You will in contact directly with the partner via this contact form and Pink Minds Media will not intervene in your relationship with this partner. 6.2. Pink Minds Media does not accept any liability for the content of the advice or the services that our partners provide you or for the contacts that arise between you and the partner. Pink Minds Media is not a party to any agreement between you and the partner and can not be held liable by the partner or by you for any shortcoming or error on the part of the partner. All provided services and advice are granted under the exclusive liability and responsibility of our partner and only they are liable in case of problems or shortcomings. 6.3. All invoicing of services provided by the partner to you will be made directly by the partner to you. Pink Minds Media is not responsible for payment, nor for re-invoicing any service. 6.4. With regard to you, we expect the partner to always offer a high level of service and follow-up, to respond quickly and carefully to forwarded requests and, in general, to ensure that you are offered a quality service. If for some reason you are not satisfied with the services of our partners, please do not hesitate to contact us. After all, we continuously improve the services provided by our partners, even though we are not a party ourselves and we do not accept any liability for shortcomings. Adjustments - If we change these terms, the new version will be available on our website and this new version will apply from your next visit to our website. From that moment on you will be deemed to have taken note of this and agree to this. It is therefore important to check the date of adjustment mentioned above at every visit to the website. Acceptance - By using our website and completing the registration form, ... you accept all clauses of these terms. Contact - For any additional information or comments regarding these terms, you can contact us at the following address: Pink Minds Media, Moleneinde 10, B-2381 Weelde (Belgium) or via info@pinkminds.tv Any feedback regarding the website or dispute must be sent by registered mail to the above address. Every communication from us to you is made via the website or by email, at our choice and possibility. These terms and all disputes arising directly or indirectly from the use or the visit of the website are governed exclusively by Belgian law. Parties agree that the any dispute arising between them shall be brought solely before the competent courts of Antwerp, Belgium. Cases of minor value shall be brought before the competent court ('Vredegerecht') of the 5th canton of Antwerp.